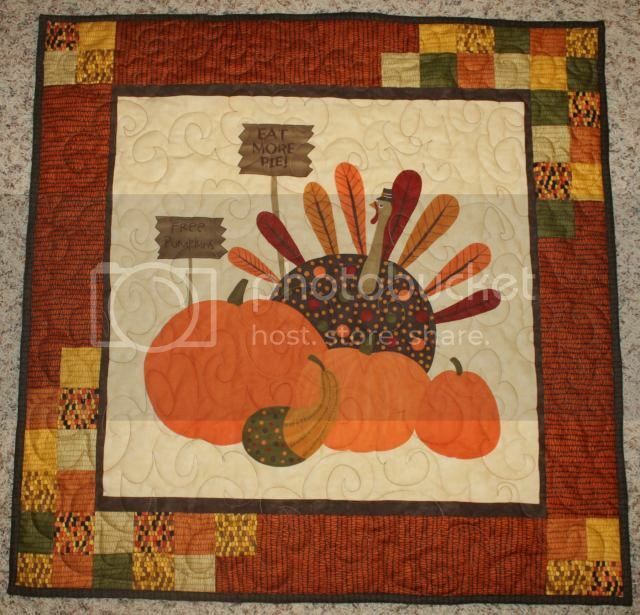 Katie Mae Quilts: Gobble Gobble Wall Hanging - Finished! Gobble Gobble Wall Hanging - Finished! Another wall hanging for my mother finished! She wanted the panel with offset borders. Easy to oblige! Quilted with a somewhat 3-E pattern I borrowed from Pinterest. I got lost a couple of times, but it wasn't too hard. For a small wall hanging. The backing is a butterfly print that is also backing Rainbow Boats. Faster than pinning it onto a whole new backing. And an outtake from the "photo shoot." 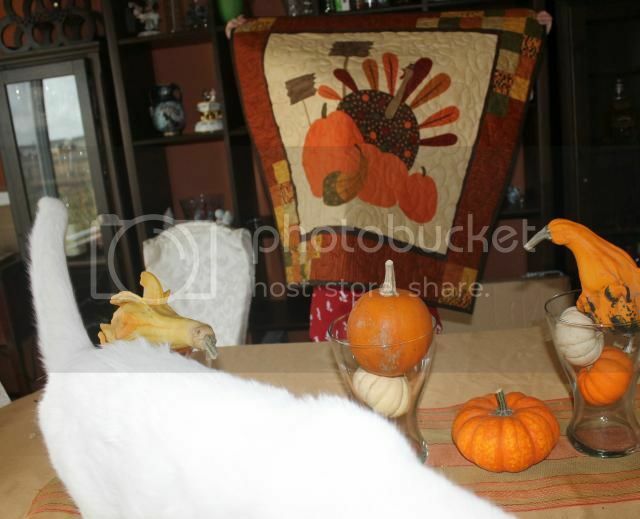 The Dude wasn't quite sure what "hold it up straight" meant, and as noted, my cats are jerks. But I do have nice fall decorations! Great finish! It's so cute. Congrats on the finish! Very cute! 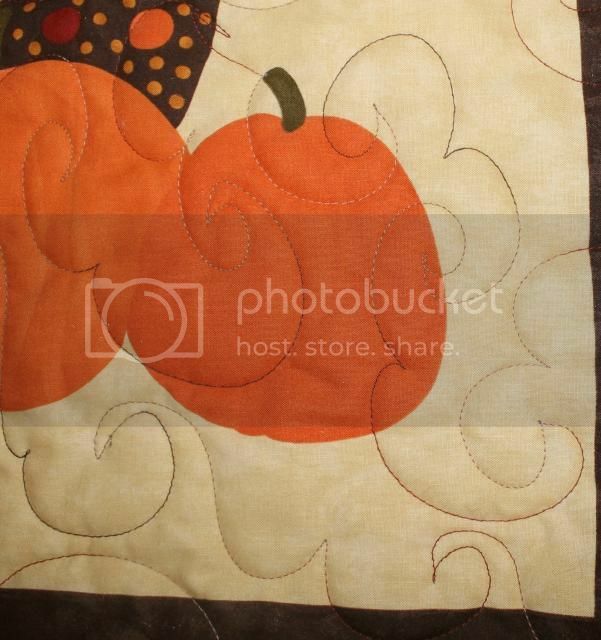 I love seasonal quilts. 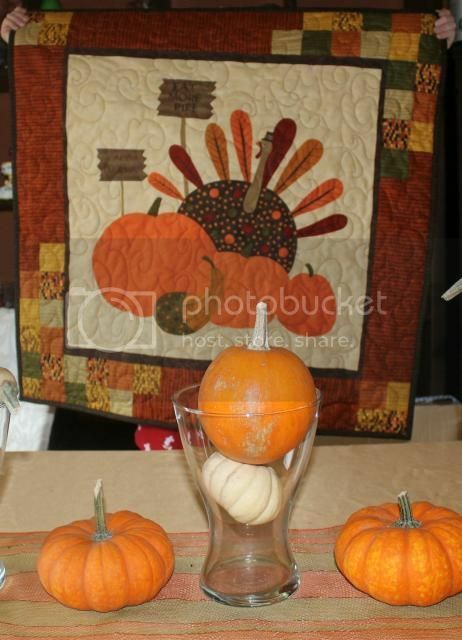 I have got to try that 3-E quilting now. What a cute little quilt! I quilt. I run. I ignore household chores.